More competition is always good for consumers. Consumers anywhere around the world have a common "vested interest" -- to have more choices, more options, among the various producers, sellers and providers of different goods and services. And this will be assured only if there is more competition among players in each sector and sub-sector. Among patients and people with particular diseases, they want to see more choices among various manufacturers and sellers of drugs, more choices among physicians and other health professionals, more choices among hospitals and clinics. So that they can compare product and services quality, they can compare prices, and go to tne producers who give them good quality commodities at a good and competitive price. Pfizer is the world's largest pharmaceutical company. And being the biggest among multinational pharma immediately creates lots of non-friendly groups in many countries, especially among people who hate global capitalism and multinational corporations. Pfizer is also known for producing some of the blockbuster but patented drugs like Norvasc and Lipitor. But the patent of these popular drugs will soon expire. Off-patent drug molecules then become "free for all" manufacturers to produce their respective generic products. The company's Philippine office rolled out its generics company, reported today in several newspapers, see for instance here. 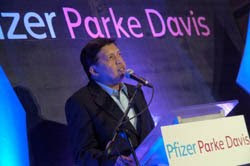 That company is named Pfizer Parke Davis. Photo is from BusinessWorld. So there, the market for generic drugs become more competitive. Public demand and most health policies of many governments around the world are geared towards promoting generics. Both global supply and global demand for generics keep expanding, and this is good. What the world needs now and in the future, is a steady supply of more new revolutionary drugs and vaccines. 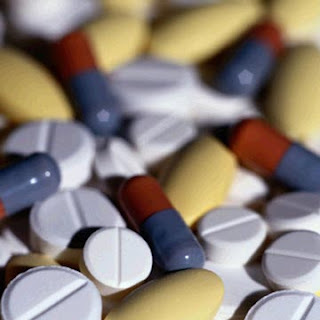 More disease killer drugs, at the shortest treatment period possible. People want to get cured of their illness, not within a year, not within a month, but within a week or within a day. Let us hope that the existing innovator pharma and biotech companies around the world will produce more powerful, more disease killer drugs for various diseases, despite some stringent government policies that tend to look at innovator companies as profit-greedy entities, then pounce on their intellectual property rights and their pricing whenever possible.